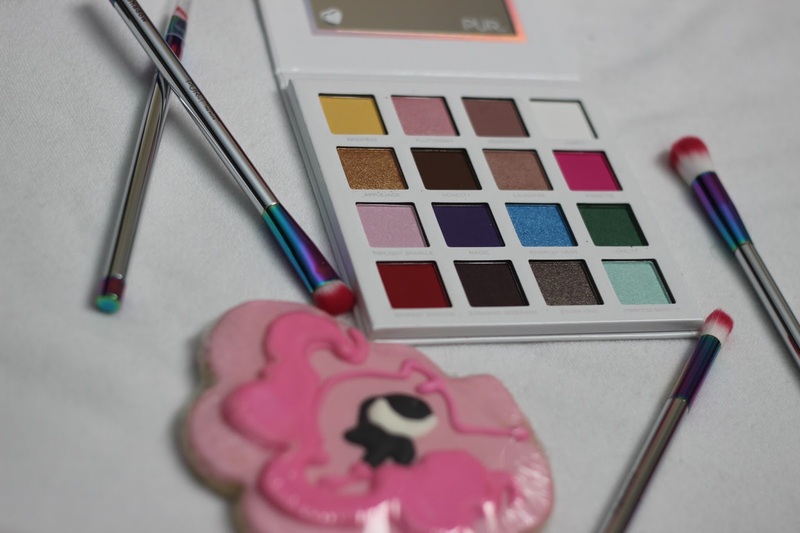 PUR Cosmetics and My Little Pony The Movie UNITE! So, anyways I was pretty excited when I opened this package by PUR cosmetics! I really like their brand of makeup. Everything is usually very well pigmented and they always have cute themes. I once had a Troll the movie theme makeup package sent to me that I loved as well. You will see by the pictures how adorable these are. My daughter Jayde wanted to put makeup on me as soon as we opened the package and I let her and she even has a video of it up on her youtube channel HERE . Now let me share the pictures of what came in my package (ps, the makeup is not available until August 10th) So make sure you get notified by clicking notify me on PUR’s website. Get your my little pony heart eyes ready for this! Then there are these highlight crayons that are super pigmented and make you shine like perfection! I have three shades here and my daughter used one in our video for her channel. Need glossy lips???? These will fulfill that dream of yours! These are super glossy and sparkly! They also didn’t feel sticky to me which made me extremely happy haha. Pinkie pie was the best one for me. I wore it alone with no lipstick under and I was very pleased with it.